Cloud computing, a leading technological trend, has developed well in the USA for 10 years. In 2009, ITRI (Industrial Technology Research Institute) established an Infrastructure Hardware & Management Division to catch up with this worldwide trend and actively looked for talented IT professionals to organize the Cloud Computing Group. Finally, ITRI found the ideal talent, Samatha Lee, who joined the Silicon Valley team on April 16th, 2013. This talent acquisition was a result of the Taiwan Talent Recruiting Mission led by Vice Minister Shih-Chao Cho of the Ministry of Economic Affairs. This is an innovative milestone for Taiwan's research on Could Computing Technology. If you could hear Samatha speak, you would think she is a native English speaker. However, she is of Chinese descent. Her whole family moved to California when she studied at the College of Communication in Fu Jen Catholic University. At the same time, she transferred to the major of Computer Information Science to a university in the USA. This big change began the basis of her career involved in the IT industry. After graduation, she worked for a Veteran's institution in Washington D.C., writing a software program that she learned from her CIS studies. Afterward, she entered a company where she was responsible for analyzing material usage trends with scientific data management skills. In the past 16 years, she worked in EBay, Apple and Intel. The content of her work ranged from research and development related to marketing to data management systems. The Management for Information Center has the instant mission for non-crash and anti-hack capabilities. Most professional experiences can't copy, but it's the basics for managing bigger data systems. Samatha likes accepting challenges and is good at building an infant industry into something that is big, organized and scaled. Besides professional knowledge, Steve Jobs of Apple had great influence on her leadership and her ability to innovate. Samatha said Steve Jobs encouraged the staff to have at least 2 weeks of vacation and leave one's familiar work environment. By this, each person can break life's structured boundaries and have new opportunities to be creative. This also affected her to decision for a new start in Taiwan by giving up completely on the USA. On that day, she accompanied her friends to the Taiwan Talent Recruiting Mission in Silicon Valley. She never thought she would work in Taiwan. However, ITRI thought she was the right talent that Taiwan needed urgently. Since their initial meeting, ITRI invited Samatha to submit her resume time and time again. Finally, ITRI persuaded Samatha to devote herself for Taiwan in November 2013. After a discussion with ITR's managers with, Samantha decided to take a business trip back to Asia. Samatha has never flown back to Taiwan since her family moved to the USA. But she often flew to China for building a Data Group of the Asian branch. Samatha was accustomed to working under the leadership of Americans. It's a good opportunity for Samatha to know Taiwan through ITRI's job offer. 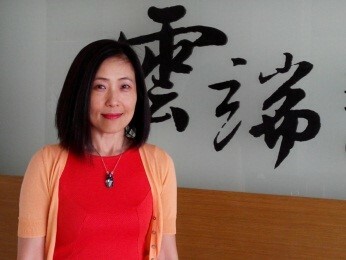 She expected herself to bring a new trend, a new view and create a new future for Taiwan's Cloud Computing Industry.